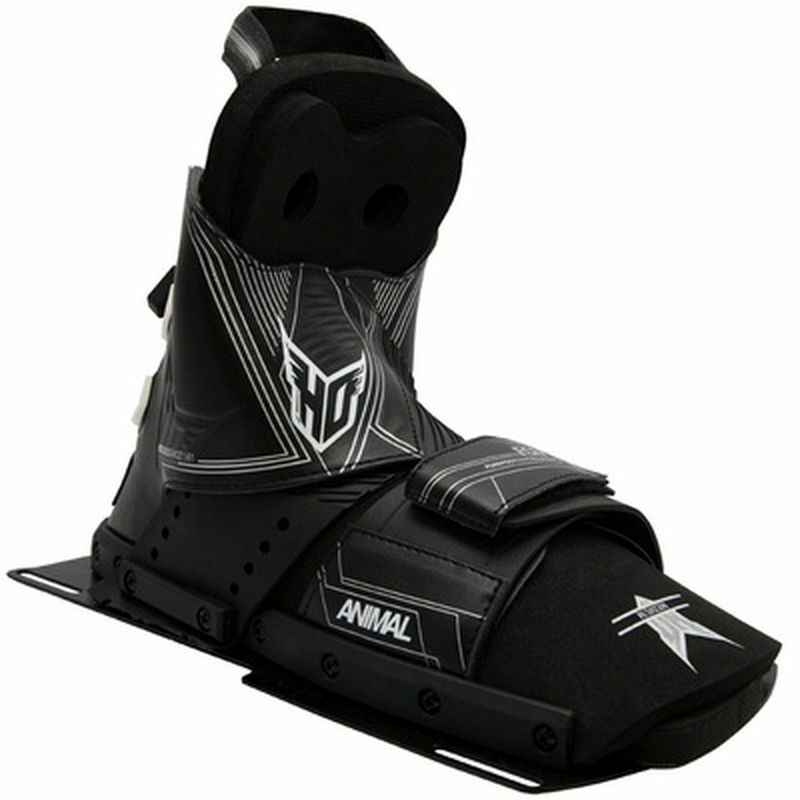 ANIMAL FRONT BOOT - PLATE - Best Selling Water Ski Boot of All Time! Traditional high performance design: winningest waterski boot of all time! Classic Overlay Construction for a traditional water ski boot fit and function.Heat Moldable EVA Tongue and Heel for great lateral control and comfort.Includes Left and Right custom orthotic foot bed.Rebuildable long lasting design.